Sometimes there are specials that come along that are worth us yelling about and this is one of them! 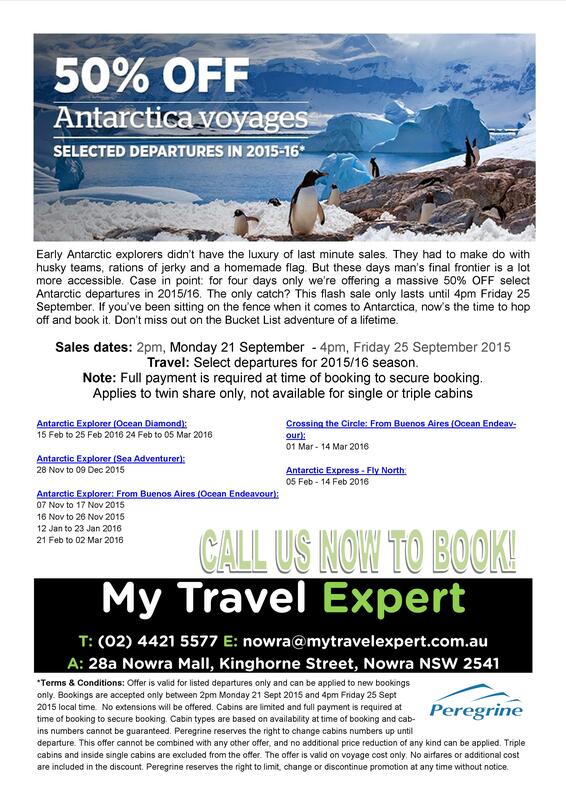 Usually an Antarctica Cruise will start for most people at between AU$8000 and AU$10,000 per person in share twin. So when we have any offer come through that will allow us to drop that price then we are happy – and this deal, saving 50% is crazily good. So if you want to Visit Antarctica then Call us this week and book aboard a fantastic voyage and save yourself a small fortune! Please be aware, sailing dates and spaces are limited.